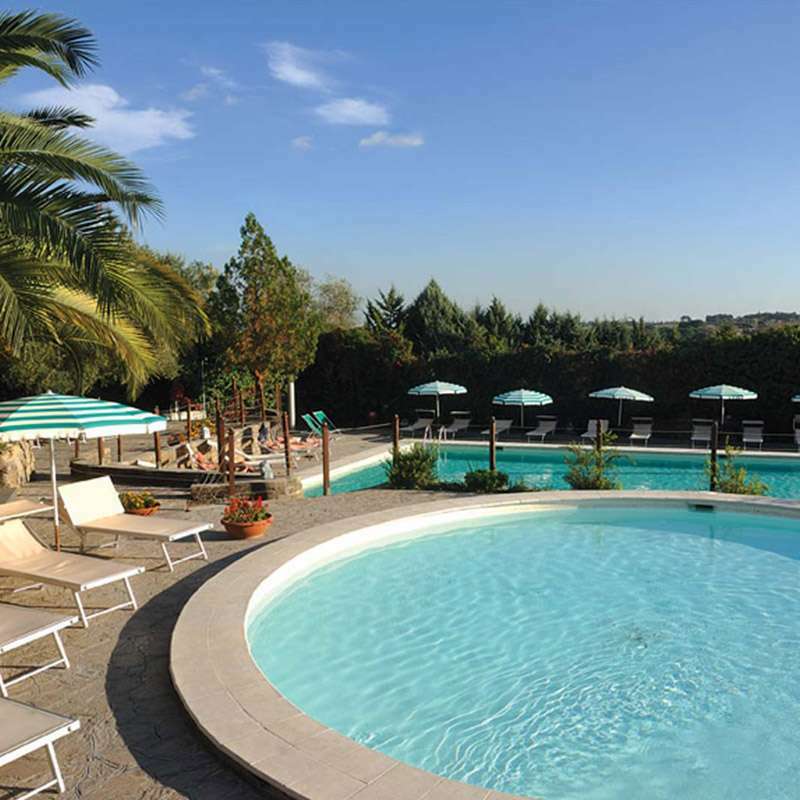 Happy Village’s great power of attraction resides in its two pools overlooking the green Park of Veio in which is situated the village. One is large and deep for adult guests and one is for the fun of the smaller ones, both equipped with umbrellas and sunbeds. They are located on the rooftop terrace outside the bar restaurant and their location is ideal to allow guests to relax after hours spent to the discovery of the eternal city: our guests could have a snack and a fresh drink- enjoying the wonderful view of the valley below – or they could have a romantic dinner by candlelight or a fun evening of pizza with friends.